Home Economy How Can We Make Cryptocurrency Mining Eco-Friendly? As the profile of cryptocurrencies swells worldwide, much has been made of their potential to revolutionize various industries. Switching from Web 2.0 to Web 3.0 and from the traditional financial system to a new, Ethereum– or Bitcoin-based one is often portrayed as a risk-free move, hampered only by fear of the future. Cryptocurrencies promise lower fees, more transparency for consumers, a greater degree of freedom with one’s money, and so on and so forth. However, over the last several months, anxiety over the ecological impact of cryptocurrency mining has begun to grow. What is cryptocurrency mining? Simply put, mining is the process of recording transactions to the blockchain in exchange for cryptocurrency. This process involves hugely intensive mathematical calculations, which both authenticate and confirm transactions, thereby allowing the blockchain to function. Due to the size and volume of these networks, this is a vastly energy-intensive process (although not for enterprising DIYers like Ken Shirriff, who reports energy savings of up to one quadrillion times less than a typical hardware mining rig!). For a primer on cryptocurrency mining and blockchain technology, see here. A cryptocurrency mining rig is simply the hardware that has been set up in order execute the mining process. These can vary in size from a laptop to a server farm, or even appear as malicious in-browser software. Obviously, the larger the mining rig and the more powerful the hardware involved, the quicker and therefore more profitable the mining operation will be. Predictably, this means that the largest rigs with the most market share will be using as much energy as possible in order to maximize their profit. One of the largest mining groups, Bitmain, employs 50 full-time machine supervisors who watch over 25,000 machines, 24 hours a day, and powers their operation electricity from coal-fired power plants. With all this being said, it’s easy to see why concerns about the energy usage of mining various cryptocurrencies are exploding. Bitcoin alone has been accused of consuming as much energy as Serbia, Denmark, and Ireland, among other small countries. With all of this apocalyptic rhetoric, who’s actually looking towards a bright future? Enter The MoonLite Project and HydroMiner, two promising initiatives that aim to tackle the problem of non-sustainable cryptocurrency mining. The team behind The MoonLite Project is based in London, UK, and Pretoria, South Africa. Their entry into the sustainable cryptocurrency mining space will take place in August, 2018, when they begin operations at their data centre in Iceland. They plan to mine Bitcoin (BTC), Bitcoin Cash (BCH), Dash (DASH), Ethereum (ETH), and Litecoin (LTC), with an eye to expanding their pool in the future. Their mission statement says that they will only use “100% sustainable, green energy” to power their data centre. This energy is also low-cost: besides having access to Iceland’s abundant hydro, geothermal, and wind energy sources, the country’s cool climate precludes the need for expensive cooling technology (compare this to a recent innovation: submerging your mining rig in oil to keep it cool). Not only do Iceland’s natural resources lend themselves to a green, sustainable mission, but their energy costs are some of the cheapest in the world. Good news for the planet and ambitious mining groups that a green solution now also seems to mean a competitive edge. HydroMiner is similarly looking to capitalize on cheap energy that also happens to be clean and sustainable. Their mission statement says that they have access to clean energy at 85% cheaper than the European average. Their system — which is already up and running — is to build their mining rigs inside of shipping containers, and then insert those shipping containers into hydro power plants in their native Austria. The hydroelectricity powers their rigs, and easy access to flowing water helps cool their system at little to no extra cost. Like The MoonLite Project, the team behind HydroMiner is quick to point out that their system is not only sustainable, it’s profitable. This trend looks good for activists and profiteers alike: cleaner, cheaper power, to produce bigger profit margins. Elsewhere, amidst rumors of China forcing large mining groups from the country, large minings groups are looking to Quebec for similar reasons that MoonLite is looking at Iceland: cheap, renewable energy, and a cold climate to keep costs down. Quebec is also eager to bring this new industry into the province, where the clients want on average one to two hundred times more daily power than the existing largest clients. 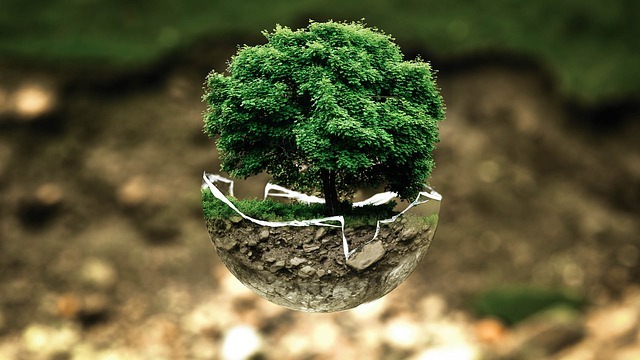 In this climate of ecological anxiety, many people think that anything that can be done to limit our impact on the environment is good, whatever the cost. More power to those who are finding practical and profitable ways to take us into an sustainable, green future. Will is a musician, writer, and crypto enthusiast living in Victoria, BC.